Similar in size to Common Whitethroat. 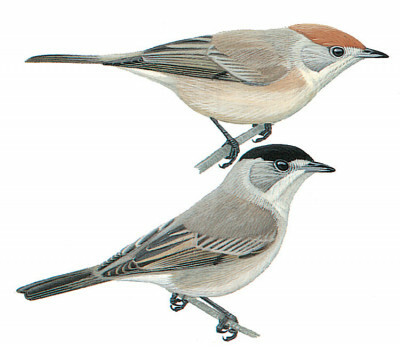 In general, it is grey brown but male has a distinguished black crown. First year birds and females have a warm brown crown. These features prevent confusion with any other warbler.